Boasting the world's best technology in the field of heavy electric machine, a core part of industrial energy, Hyosung Power & Industrial Systems Performance Group has been recognized for its superior quality in the global market including Americas, Europe, Middle East and Asia. 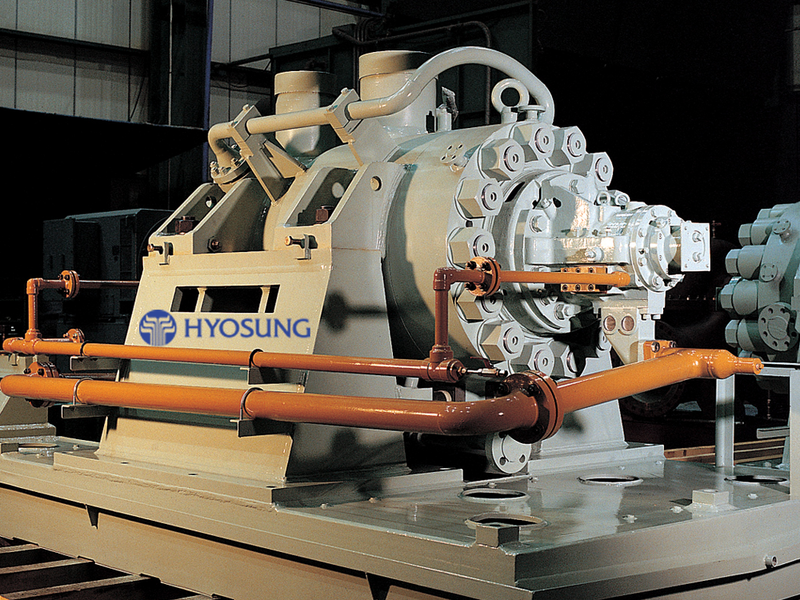 Hyosung Power & Industrial Systems Performance Group is divided into four business areas or performance units, depending on the types of flagship products: Power Systems PU, Industrial Machinery PU, Hyosung Goodsprings PU, and the Wind Energy Business Division. Based on Hyosung?? unique design technologies accumulated for several years, the Multi Stage Double Casing pump has been used in various industries such as petrochemical industry and petroleum refineries. Its flexible design allows a wide range of liquids to be used.